Amazing Australian women making a difference. Rochelle Courtenay built the biggest tampon stash in the country. Then she gave it all away. Rochelle Courtenay claims she’s not extraordinary. Not even a tiny bit. But anyone who knows her story would argue differently. Two years ago the Brisbane based personal trainer read an article on Mamamia about how women who are homeless or in domestic violence shelters often don’t have pads or tampons to use during their period. But instead of thinking, ‘awwww how sad’, and then clicking on the next article and continuing on with her day, she stopped. And thought to herself ‘there must be something I can do’. Mia Freedman and Rochelle Courtenay. Image: Supplied. She had a brainwave, enacting a new policy in her gym. From now on, whenever one of her clients splurged, or broke their weekly alcohol quota, she would fine them. Every extra glass of wine was a packet of pads or tampons for her stash. Her clients - also taken aback that a fundamental need for women was going unmet - were a thirsty lot. Within weeks she had dozens of packets. The 46-year old then put a collection box in the local council. Word spread and within a month, she&apos;d collected 450 packets. Then, swamped by people who wanted to help, she made it official, launching Share The Dignity, an organisation that collects donations of sanitary items and gets them to women in need all around the country. Two years later, the organisation has collected almost half a million packets of pads and tampons. And helped countless women. Women who tell her that before she came along, they would buy 99 cent packets of generic brand napkins and stuff them in their knickers when their periods came. Spurred on by the change she could see, the mother of two had another brainwave: What if women could donate other things, too? Things we sometimes take for granted? She called on her women tribe to donate a handbag they no longer use and fill it with sanitary items, and include other items that would be handy for a woman in need, or a special treat or two. Things like a mascara. A nail polish. A bottle of nice shampoo. A thoughtful note. A box of chocolates. Just something to say &apos;Someone cares. And you matter&apos;. All across Australia, book clubs, women&apos;s groups, schools got together and donated to the program. She collected over 100,000 bags. And thousands of stories. Rochelle described how later, a woman thanked her for a simple bottle of shampoo. Until then, a nice shampoo had seemed out of reach. "Oh my God. The woman talked about Pantene like I talk about Ferrero Rochers" she said. "For her, was the ultimate. She talked about the smell of it." She said another woman hadn’t worn mascara in eight years. She&apos;s had been in a controlling, abusive relationship. And this woman, who received a mascara in her handbag, went straight up to her and said: “Look at me now. Look how pretty I am”. This year, the plan is to reach as many women as they can. To gather as many bags as they can. To raise as much money as they can. To make a massive difference in these women&apos;s lives. "Our main focus this year is to put free vending machines in poverty-stricken schools, libraries, council offices, and places where women can&apos;t access tampons," she says. There will be another tampon drive, there will be another handbag drive, there will be fundraising high-teas, and there will be Australians that give above and beyond for strangers doing it tough. For Rochelle, her work is never done. There are now more costs for the charity to bear, like the funerals of domestic violence victims. After hearing one too many &apos;go fund me&apos; pages raising money for funerals, Rochelle says she couldn&apos;t take it anymore. A proper burial can cost thousands of dollars, with the morgue often not releasing bodies until the family can guarantee payment for burial. Now it&apos;s something Rochelle and her volunteers will dignify those victims with. Rochelle says it&apos;s not her doing all this work. It&apos;s the people around her. "I&apos;m just a train driver who is driving the train. It&apos;s all these other people that make it happen." she says. It&apos;s a volunteer troupe that includes many former homeless women, disabled women, domestic violence victims who wanted to help others, and her daughters, 18-year-old Aleesha and 19-year old Hayley, who she says have "counted more pads and tampons than you could think of." "The volunteers we have on board are fricking amazing" she says. "We have a volunteer who has no arms and no legs and she said she has never felt so valuable." So, why does she do it? She&apos;s driven by the inequality for women, the unfairness of some situations. And she wants her kids to grow up in a better world. "I never wanted my girls to read about that in ten years time that this was still a problem" she said. "I just know the power of what women are able to do." As for now, she&apos;s still balancing her Personal Training with running Share The Dignity. With everything raised going straight back into the program, she says she&apos;s still pumping iron to make ends meet. "I still have to eat" she laughs. To read more, go to Share The Dignity webpage where you can find out about their donation drives, high teas, how you can volunteer, or donate. Who are the amazing Australian women that inspire you? 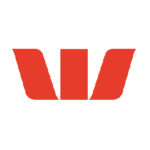 This content was created with thanks to our brand partner Westpac.